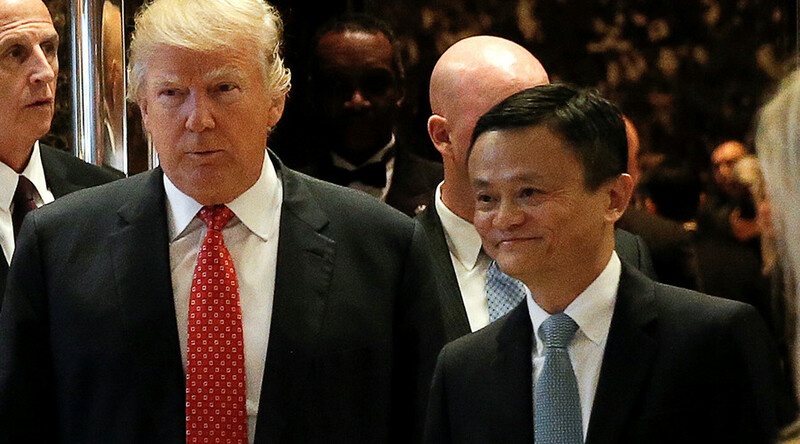 President-elect Donald Trump has met with Chinese ecommerce entrepreneur, Jack Ma, to discuss creating 1 million new US jobs over the next five years. Ma said the pair discussed strengthening the two countries' relationship. He said Trump "has the concerns and he has the solutions and he wants to discuss with China and us that how we can do better," according to AP. Ma didn’t confirm a specific number of jobs, but said he said he would go through the small business community to focus on agriculture products, especially in the Midwest. Alibaba.com is the world’s largest business-to-business trading platform for small business. There is an English-language portal that handles sales between importers and exporters from more than 240 countries and regions. The Chinese portal 1688.com was developed for business-to-business trade in China. AliExpress.com allows small buyers to buy small quantities of goods at wholesale prices. In 2013, 1688.com launched a direct channel that is responsible for $30 million in daily transaction value, according to Bright Wire. The meeting with Ma comes after a series of sideswipes Trump has made about China. During his campaign, Trump repeatedly attacked China for stealing American jobs. Among his platform promises was to bring trade cases against China, and use every lawful presidential power to remedy trade disputes with China. Trump said he would threaten China that if it didn’t stop its illegal activities, such as theft of American trade secrets, he would apply tariffs. Half US imports from China are electronics or machines, with the largest individual categories being mobile phones, tablets and laptops. By value, China is the source of three-quarters of mobile phones and 93 percent of tablets or laptops shipped into the US, economists said. In December, Trump issued two tweets accusing China of keeping its currency artificially low and of military posturing in the South China Sea. “Did China ask us if it was OK to devalue their currency (making it hard for our companies to compete), heavily tax our products going into their country (the US doesn’t tax them) or to be build a massive military complex in the middle of the South China Sea? I don’t think so!” Trump said on Twitter. It is so far unclear the extent to which Trump’s moves and comments have rattled China. In a controversial move, Trump had a conversation with Taiwan President Tsai Ing-went in December, the first president to speak to the country’s leader since Washington established diplomatic relations with Beijing in 1979. China regards Taiwan as a breakaway province. Foreign Minister Wang Yi said after news of the call it was a petty gambit and China lodged an official complaint, according to CNN. Alibaba has been planning to expand more aggressively into the US, according to Yahoo News. The company has expanded its New York City US headquarters and has been making a push for international participation in its signature Singles' Day sale. Alibaba has a complicated relationship with US regulators. The company faced an SEC investigation about its accounting methods last year, and its property, Taobao, has been rebuked by American trade officials for allowing sale of counterfeit goods. If an expansion is announced, Alibaba would be the latest in a string of companies to commit to create US jobs in the wake of Trump's election. Japanese tech giant Softbank recently reiterated a commitment to create 50,000 US jobs after meeting with Trump.